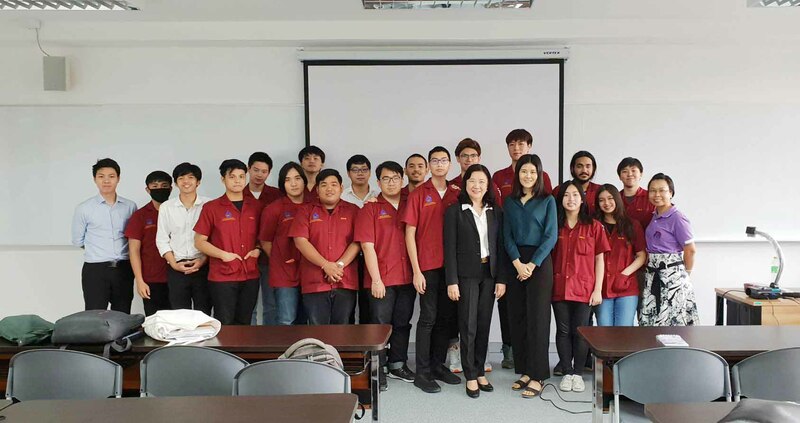 Dr. Siriaksorn Jakborvornphan, the DGE Program Chair, invited Mrs. Somchit Terachutikul, an Executive Vice President of Human Resources at TOT, to give a lecture to eighteen DGE first-year students on the topic of Artificial Intelligence (AI) with Human Resources for DGE 113 class, Exploratory of Digital Engineering and Artificial Intelligence. 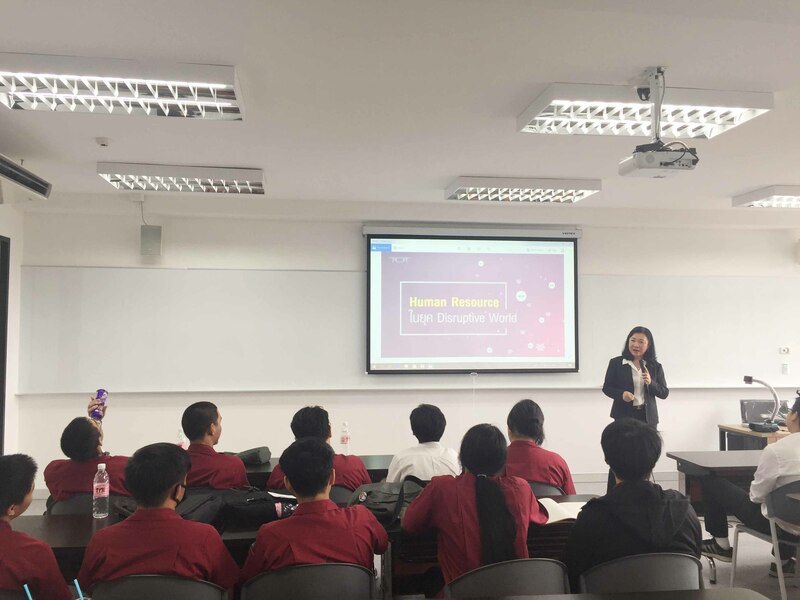 She emphasized the importance of the current evolving technology and the demand for a future career during Industry 4.0 so students would be aware and prepared to handle the impact of technology. 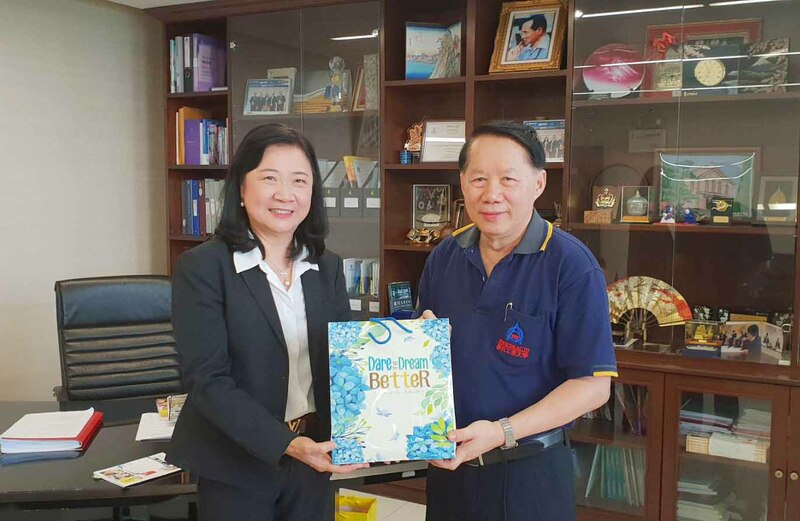 Mrs. Terachutikul wished President Associate Professor Dr. Bandhit Rojarayanon Happy New Year. 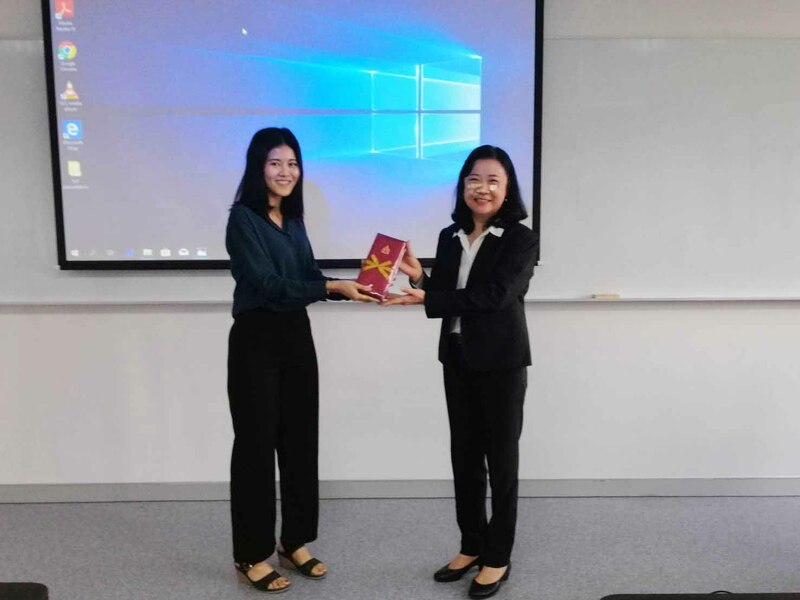 They discussed the importance of the changing of current technology and the commitment to participate in TOT Hackathon 2019 project and Digital Platform competition that drives organizations to Digital Transformation.